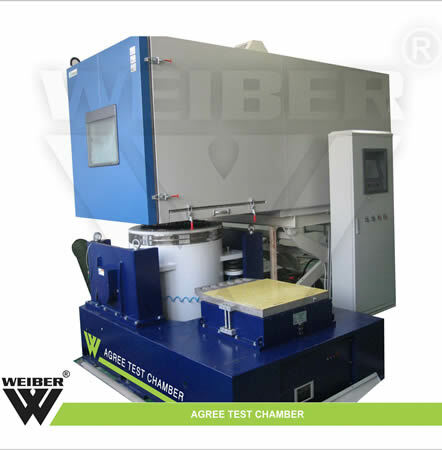 WEIBER provides Agree Test Chambers to test the equipments for their adaptability to changing temperature, humidity and vibrations. 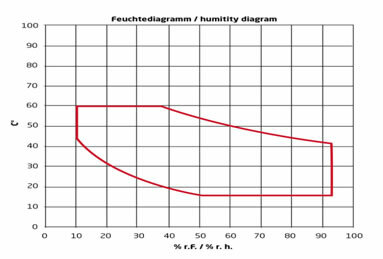 During transportation the component is exposed to vibration motion, change in temperature and humidity. 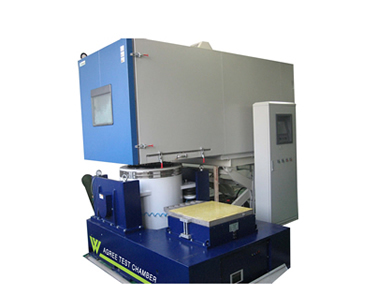 Using Agree test chamber the withstand strength of components can be determined. Chamber floor are designed to be changeable to accommodate different “floor plugs” for vibration systemsWIEBER provides customised Agree Test Chambers with advanced features. Choice of capacities – 108Lt,270Lt, 480Lt, 800Lt and as per requirement. The test condition (temperature and humidity) are controlled by microprocessor based control system. Control is governed by the 32 Bit I/O system with integrated soft PLC. A web server can place test and diagnosis information in the intranet via Ethernet if desired. The principle of the test is to determine the strength of specimen n variable temperature, humidity and vibrations. The test is conducted in environmental chamber at specified constant conditions of temperature, relative humidity and vibrating factor. These chambers are designed for use with mechanical, electro-dynamic, and dual axis vibration systems. The easily removable chamber-to-shaker interface is designed for ease of loading and unloading of the test items. For different vibrations and different sizes, different types of shakers are present. Test space Volume 340Lt. to 4757Lt.